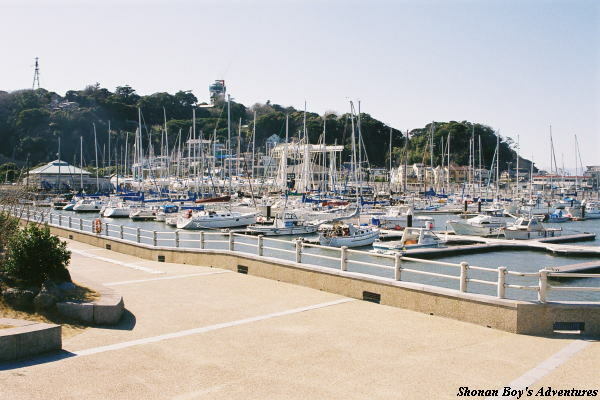 It is located near Katase-Enoshima station, so it is convenient. And it is faced on the "Surf Village". There are creatures of Sagami Bay. 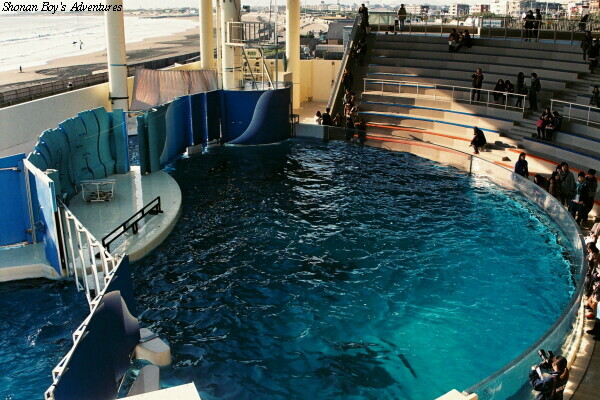 You can see the show of dolphins and sea lions. Please check the business time and holidays before you visit. 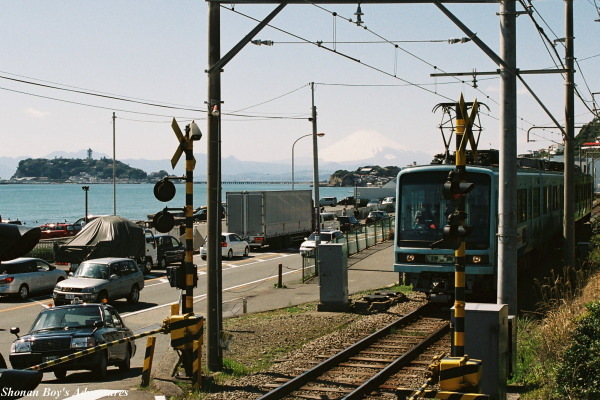 From "Katase-Enoshima" station of Odakyu Enoshima line, 3 minutes walk. From "Enoshima" station of Enoden, 10 minutes walk. From "Shonan Enoshima" station of Shonan Monorail, 10 minutes walk. with a view of Mt. 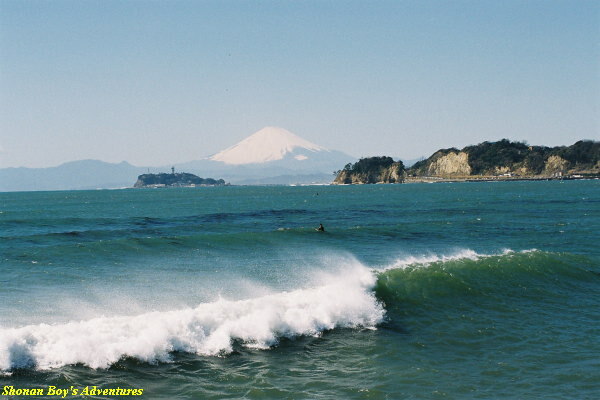 Fuji This is very good place to enjoy surfing, with park and Katase-kaigan Nishihama Beach. 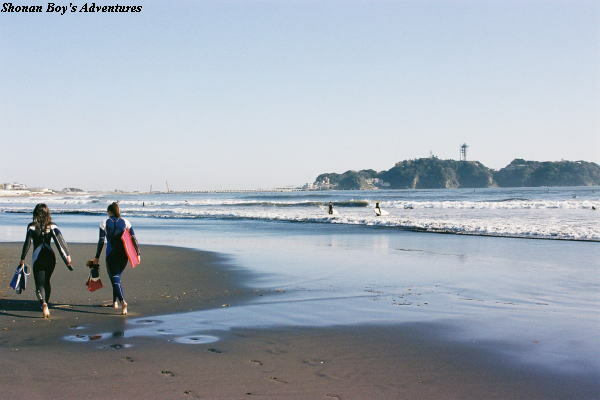 Also it is situated close to Enoshima, and there are showers and shops for surfers. As well, some shops give courses of surfing and bodyboarding. 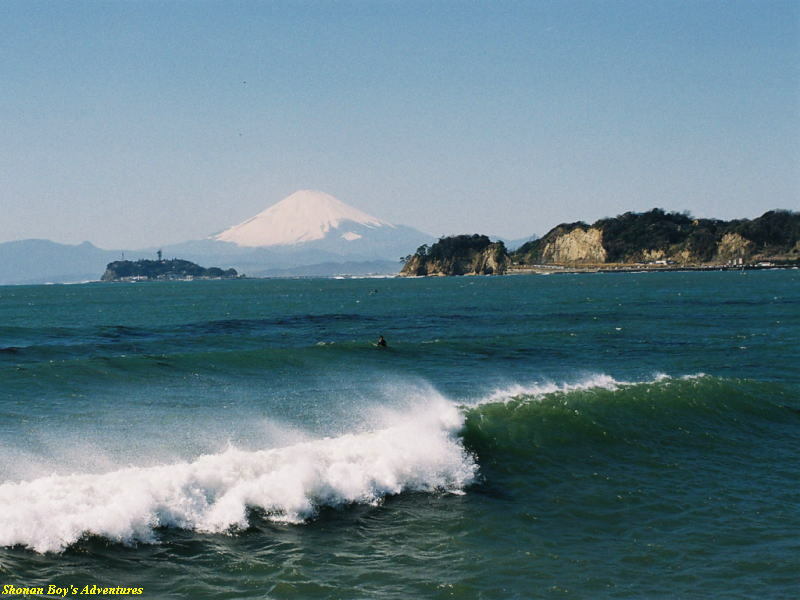 For non-surfer, please enjoy to see the view and hear the sound of the sea. 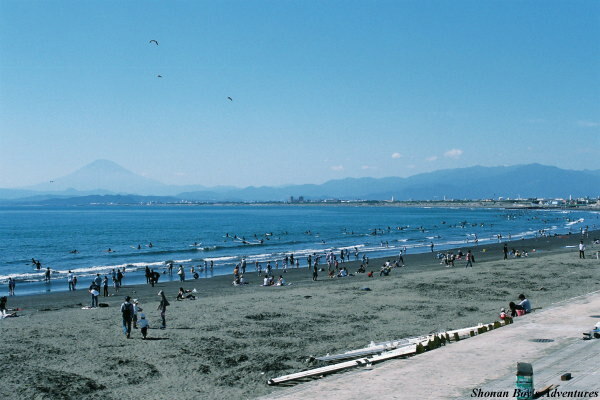 In Summer, let's enjoy swimming at the sea that is shallow to a considerable distance from the shore. From "Katase-Enoshima" station of Odakyu Enoshima line, 10 minutes walk. From "Enoshima" station of Enoden, 15 minutes walk. From "Shonan-kaigan-koen" station, 10 minutes walk. 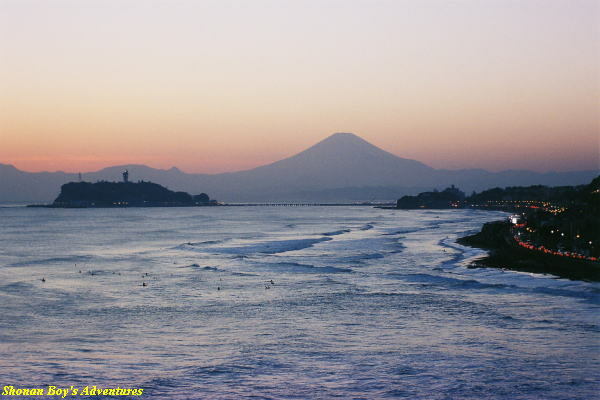 From "Shonan Enoshima" station of Shonan Monorail, 17 minutes walk. 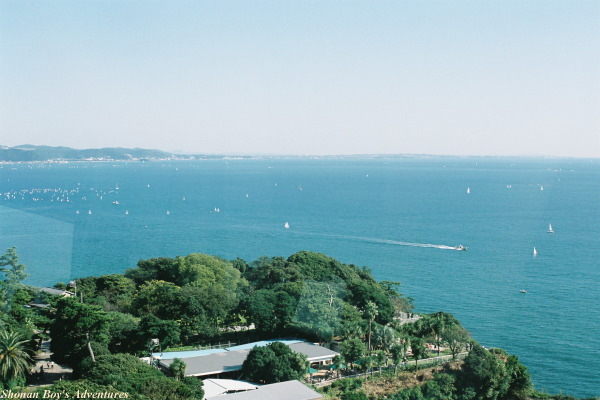 in Enoshima It is very convenient resort to go to Enoshima. Most of the visitors go to rocks of shashore. 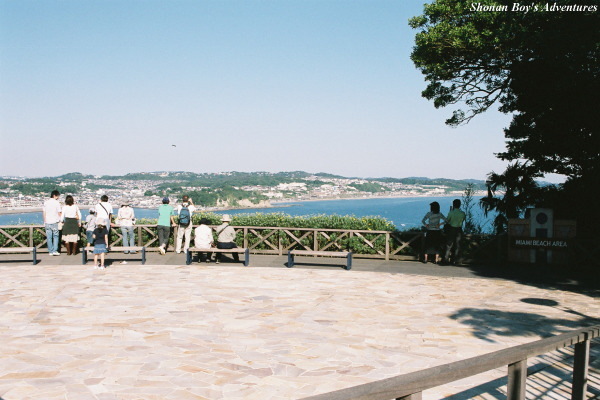 If you have time, let's go to "Enoshima Observation Tower" and "Iwaya Cave"! 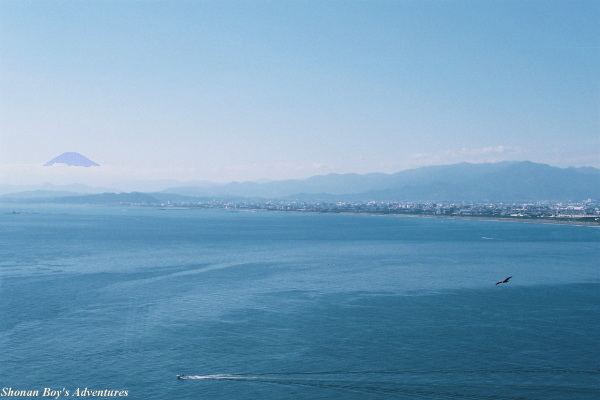 You can see the whole Shonan Coast, and Fuji mountain at the top of Enoshima. Also you can ride pay-escalators "Esukah" to the top. There are many souvenir shops and seafood restaurants on the street. 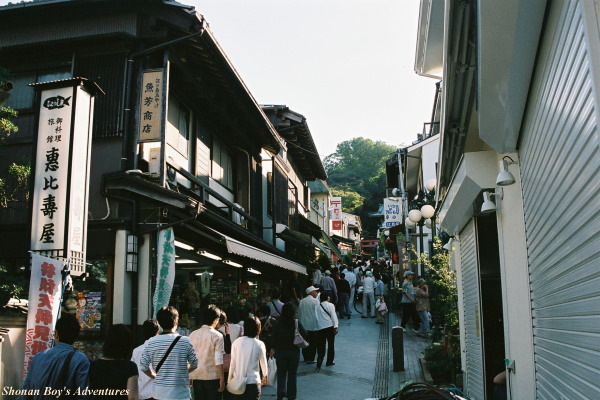 As the road between stations and Enoshima is extremely crowded, we recommend you visit on foot. From 21:00, drivers cannot go to this island by car because of car control. Maintaining public order, most of shops around Enoshima close at 21:00. 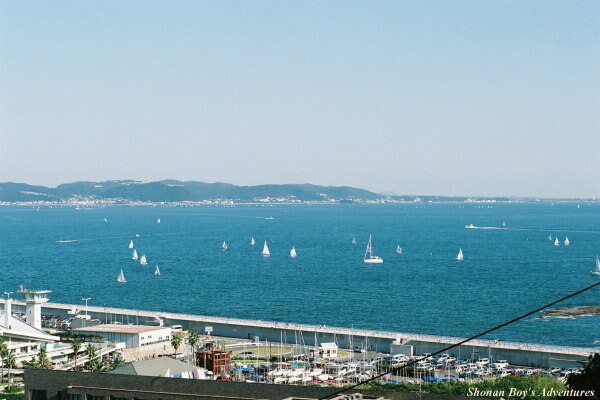 It is located at the high place of Enoshima, with a nice view. In 1882, Samuel Cocking, who was a British trader, constructed a botanical garden here. Later it has been managed by Fujisawa city. 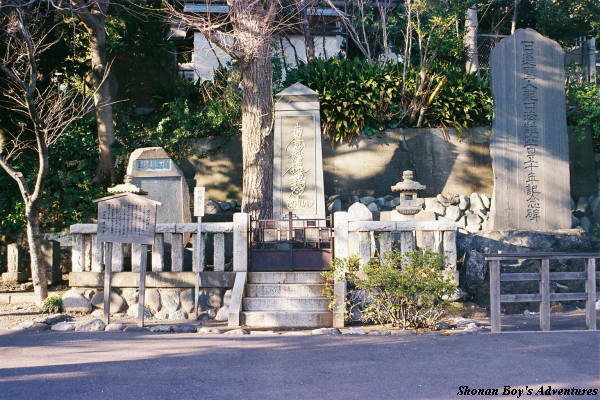 On April 2003, a lighthose in Enoshima was reconstructed, and then this garden was named "Enoshima Samuel Cocking Garden". 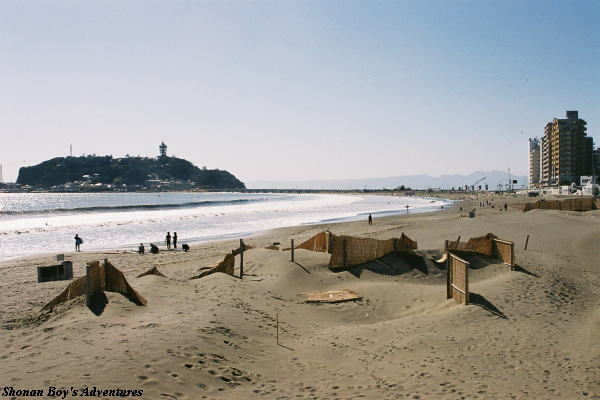 From "Miami Beach Square", visitors can see Katase Beach and Shonan Coast. 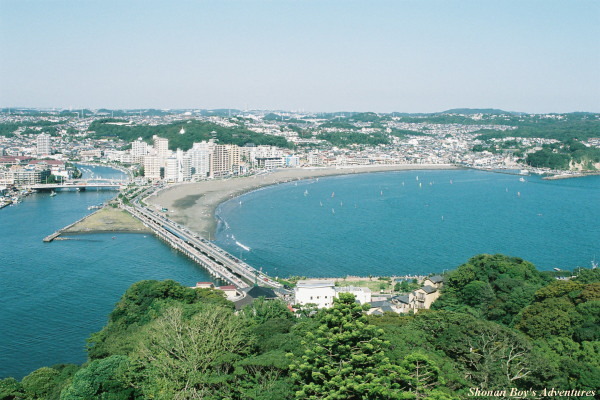 As the features of Fujisawa city is similar to Miami Beach city, Fujisawa city has became a friendship city with Miami Beach city because of a suggestion of a mayor of Miami Beach city in 1953. There are big roses, a Chinese architecture, restaurants in the garden. Please check the business time and holidays before you visit. 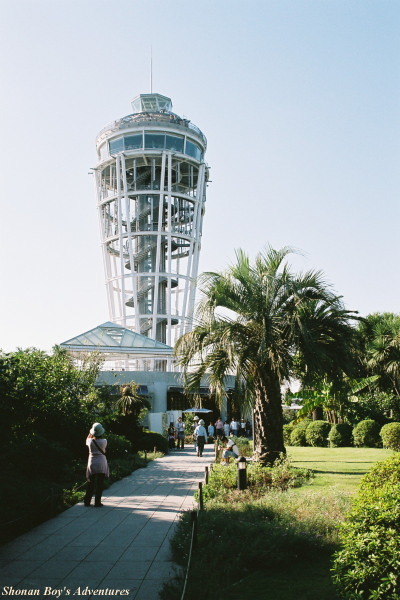 It is a lighthouse that is located in the Samuel Cocking Garden. Admission fees of "Samuel Cocking Garden "& "Observation Tower" are required when you visit this tower. Visitors can see the view in all directions from the observatory after going up by elevator. 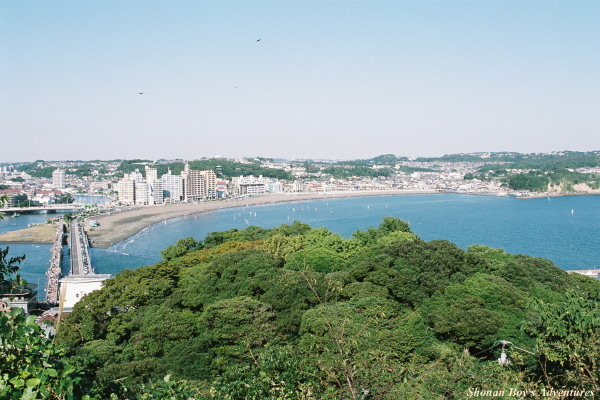 They can enjoy the view of Katase Beach, Shonan Coast, and Miura Peninsula. 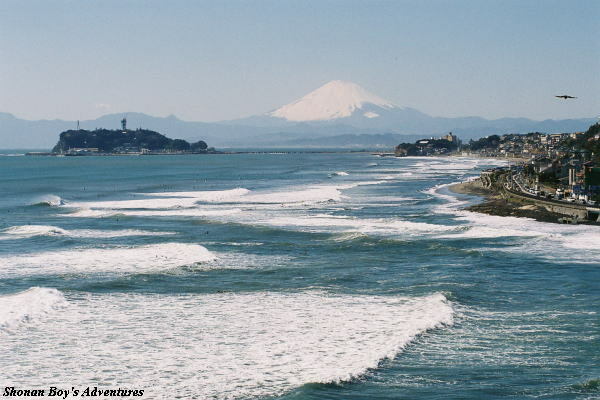 Whether permitting, they can see the view of Fuji mountain, Izu Peninsula, Izu-oshima, etc... The views of sunset and night are spectacular! Please check the business time and holidays before you visit. From "Katase-Enoshima" station of Odakyu Enoshima line, 25 minutes walk. From "Enoshima" station of Enoden, 30 minutes walk. 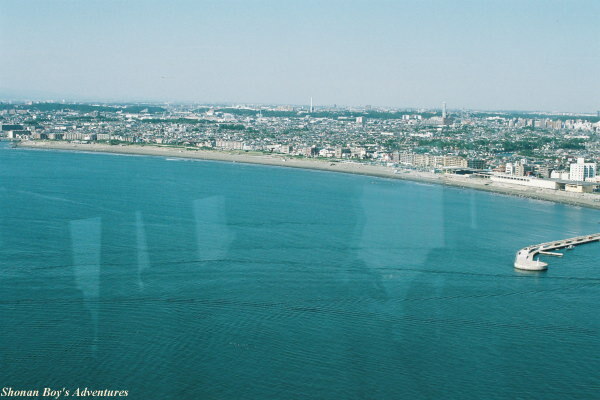 From "Shonan Enoshma" station of Shonan Monorail, 32 minutes walk. Pay-escalators "Esukah" are available in this island, and arriving earlier and easier a little (going only). 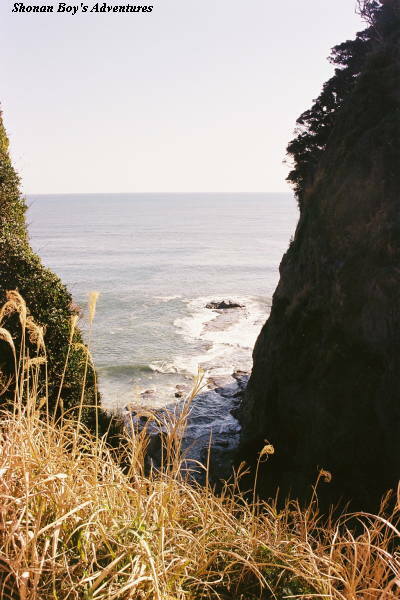 It is the cave in Enoshima that was encroached by wave. 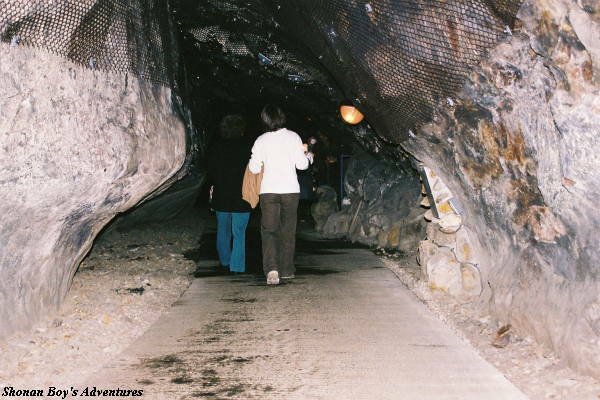 Visitors can see 2 caves. 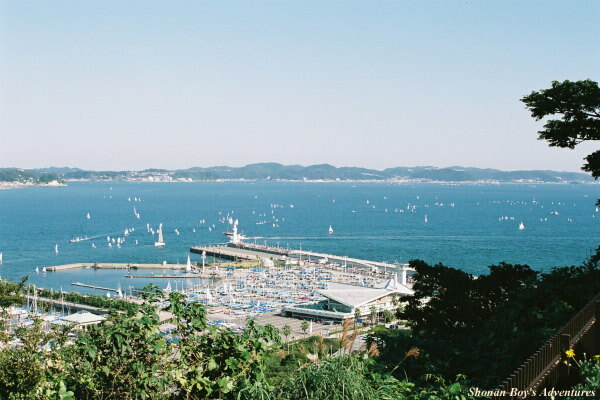 It may be long to visit here, and please enjoy the view of Enoshima on the way. It is closed in stomy weather. Please check the business time and holidays before you visit. From "Enoshima" station of Enoden, 35 minutes walk. From "Katase-Enoshima" station of Odakyu Enoshima line, 30 minutes walk. 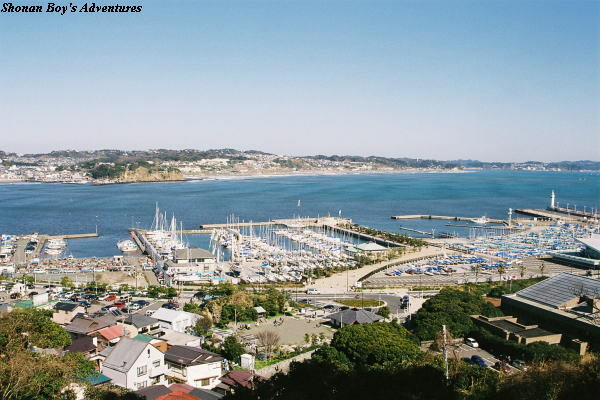 From "Shonan Enoshima" station of Shonan Monorail, 37 minutes walk. This is the temple of Nichiren-shu Minobu school, and it was established in 1337 at the site of Tatsunokuchi Execution. There is a five-storied pagoda. This photo is the monument of "Tatsunokuchi Persecution". 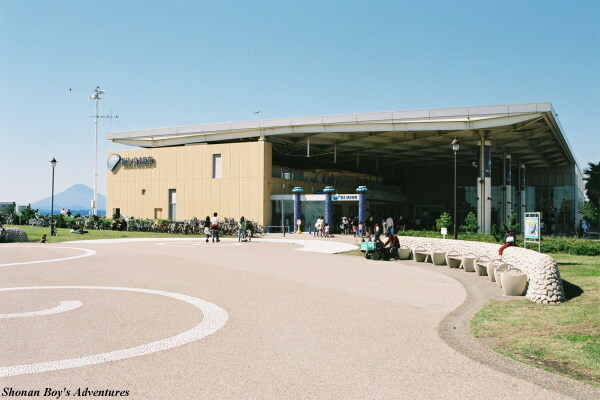 "Enoshima" station of Enoden, 3 minutes walk. 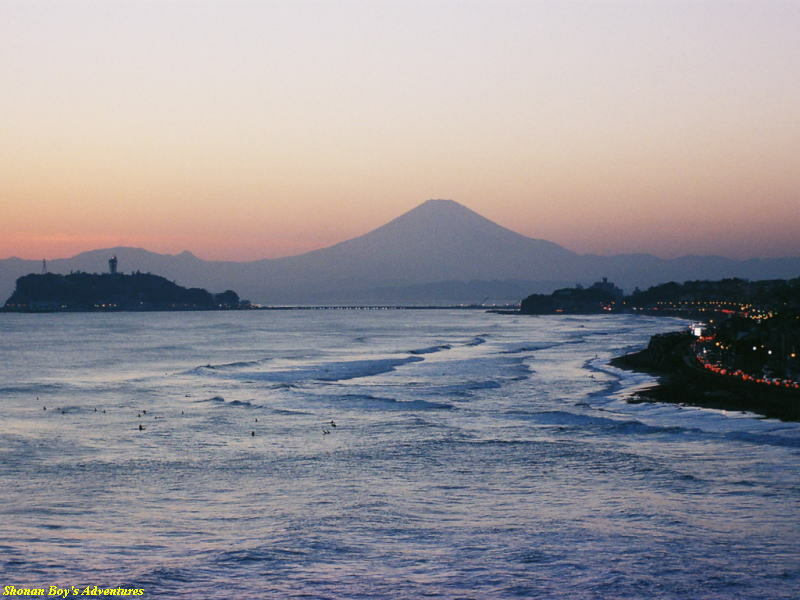 From "Shonan Enoshima" station of Shonan Monorail, 2 minutes walk. 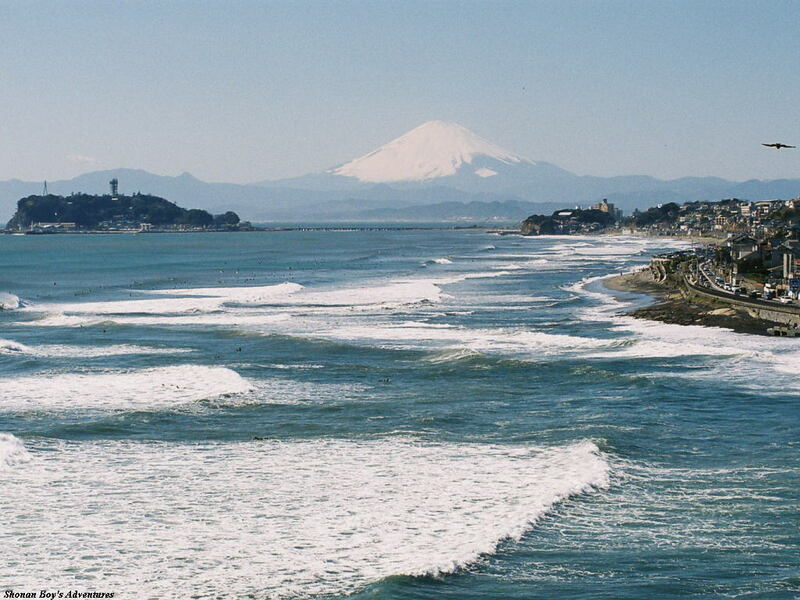 and Enoshima Shichiri-ga-hama is located in Shonan Coast. Surfers love to surf here, and in Summer many people go swimming in the sea. Sometimes some companies go on location for dramas or TV commercials. Traffic of Schiri-ga-hama is a little convenient. But roads around here is extremely crowded. 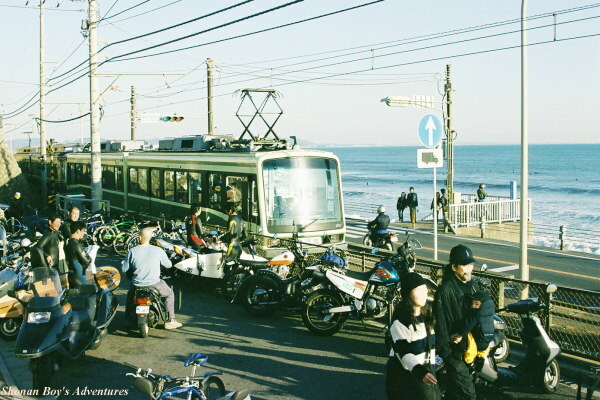 Passengers on Enoden (Enoshima-dentetsu; Enoshima Electric Railways) can get off at either Kamakura-koko-mae or Schirigahama. If you go swimming here, please get off at Shichirigahama, because showers are available in Shichirigahama Parking Lot. From "Shichirigahama" station of Enoden, 10 minutes walk. 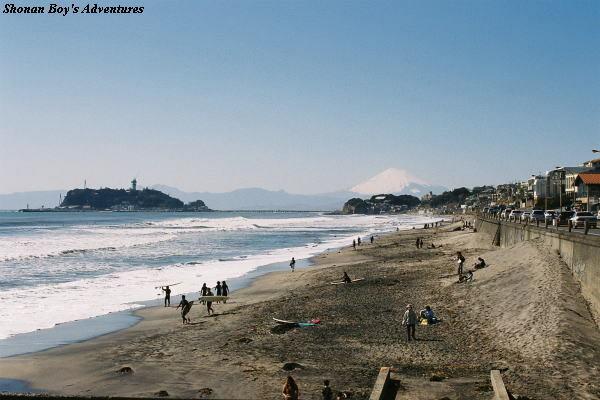 Nice view of Shonan Coast, Enoshima and Fuji mountain, and this is where many people take photos. Many camera lovers get awards as they took photos here. Especially the view of sunset is very beautiful. The road is extremely crowded, and there is no big parking lot by Inamura-ga-saki. There is another public parking lots where we should walk for about 10 minutes. Sometimes it is full weekend. 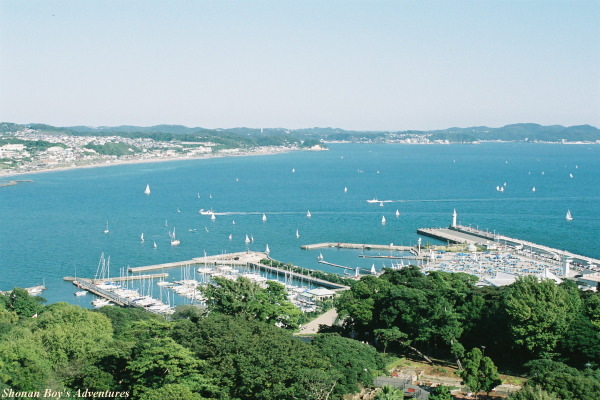 If you go there by car, please have lunches at the restaurants near Inamura-ga-saki, and park your car at the restaurant, and enjoy the view of Inamura-ga-saki. Instead of it, please park your car at Yui-ga-hama or Shichiri-ga-hama parking lots, and take the Enoden (Enoshima-dentetsu; Enoshima Electric Railways). We recommend to use "Park & Ride". From "Inamuragasaki" station of Enoden, 5 minutes walk. 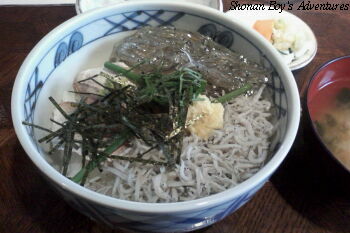 Around Enoshima and Koshigoe, the food of sardine with rice is popular. Especially, boiled sardine and raw sardine! In winter, it is closed season. And we can not eat raw sardine at that time.